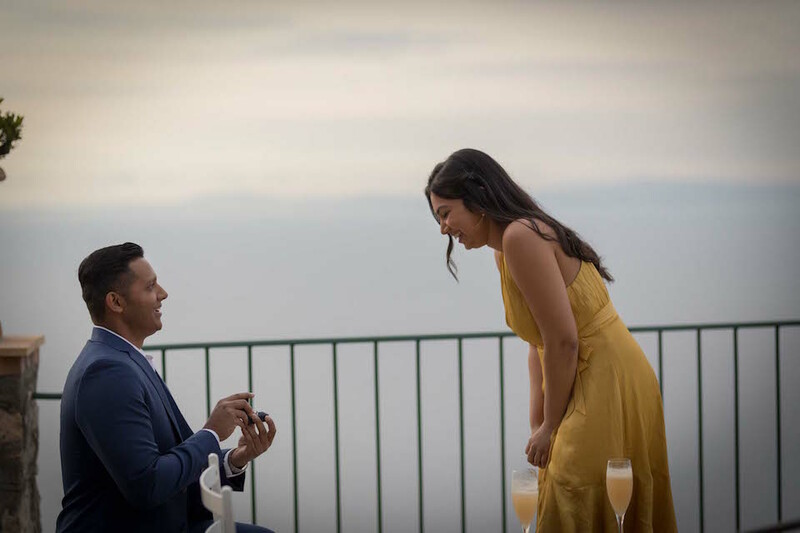 Planning a destination proposal is one of the ultimate ways to profess your love, especially when you share a love of travel. Of course, planning a destination proposal can present some minor scheduling issues when flights and travel plans don’t go according to schedule. Bailey planned an NYC destination proposal and had to do some last-minute shifting when his flight was majorly delayed, but with quick thinking and the help of his Flytographer, he was able to pull it off almost exactly as planned. “My girlfriend Deidre decided to take a trip to India and Nepal to study yoga in the spring. Her return flight flew through New York City and since neither of us had travelled to or spent time in the ‘Big Apple,’ we planned to celebrate her return to the U.S. by experiencing New York for the first time together. Since both of us were scheduled to be there in advance, that provided me the opportunity to plan a special proposal. “I had never been to New York before, but I wanted to surprise my girlfriend with a destination proposal. Both the Flytographer concierge and photographer were very helpful in researching and providing ideas to make the moment special. Everything from the video conference call talking through the ideas and process to the day-of text messaging back and forth with the photographer about flight cancellations and scheduling issues was an excellent experience. 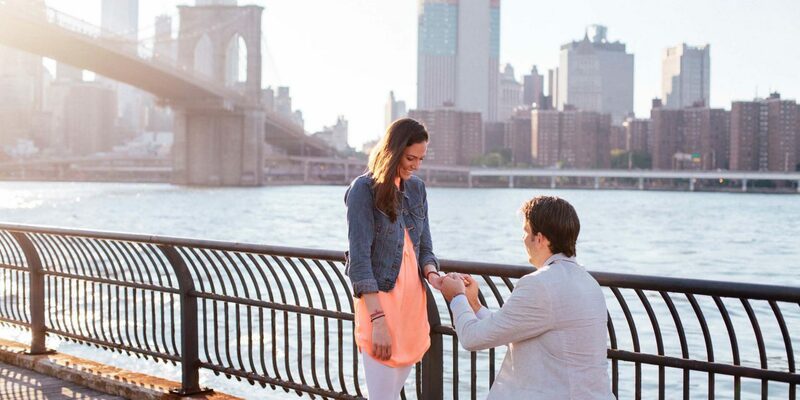 “The proposal was the perfect memory for our story together: the Brooklyn Bridge, Lower Manhattan in the background, sailboats, the sun setting…it was all perfect, except for the travel. “We almost missed the proposal thanks to a few travel interruptions. First, my girlfriend was able to travel from Abu Dhabi to NYC in a shorter amount of time than it took me to travel from Tulsa to NYC thanks to flight cancellations, getting stuck in the St. Louis airport and then diverting to Philadelphia. At one point in the trip, I thought I was going to miss the scheduled proposal altogether.